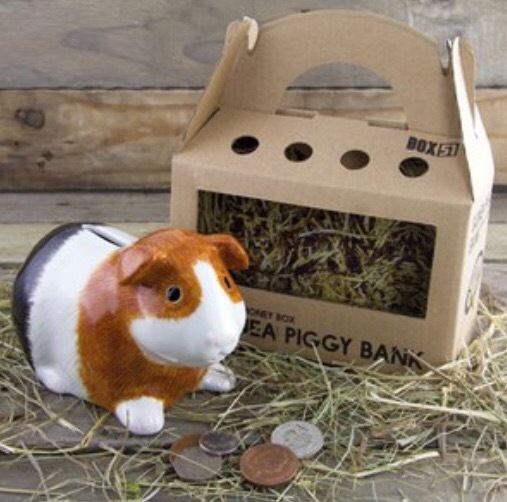 Today we are reviewing the Paladone Guinea Piggy Bank. It’s a piggy bank in the shape of a tricoloured Guinea Pig. Save your money in it. Save money for someone else in it. Use it as a paperweight. Use it as an ornament. It’s rather realistic looking (for a piggy bank) and very cute. It comes in an adorable ‘adoption’ style box. 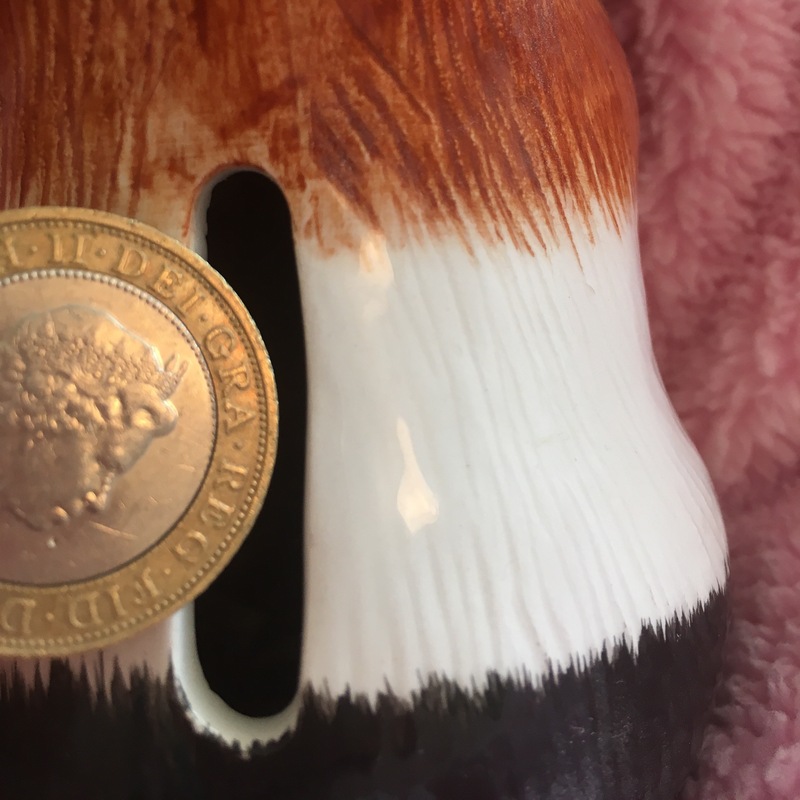 It has a good size coin slot and a pvc bung which means you don’t have to smash the piggy to get your money back. 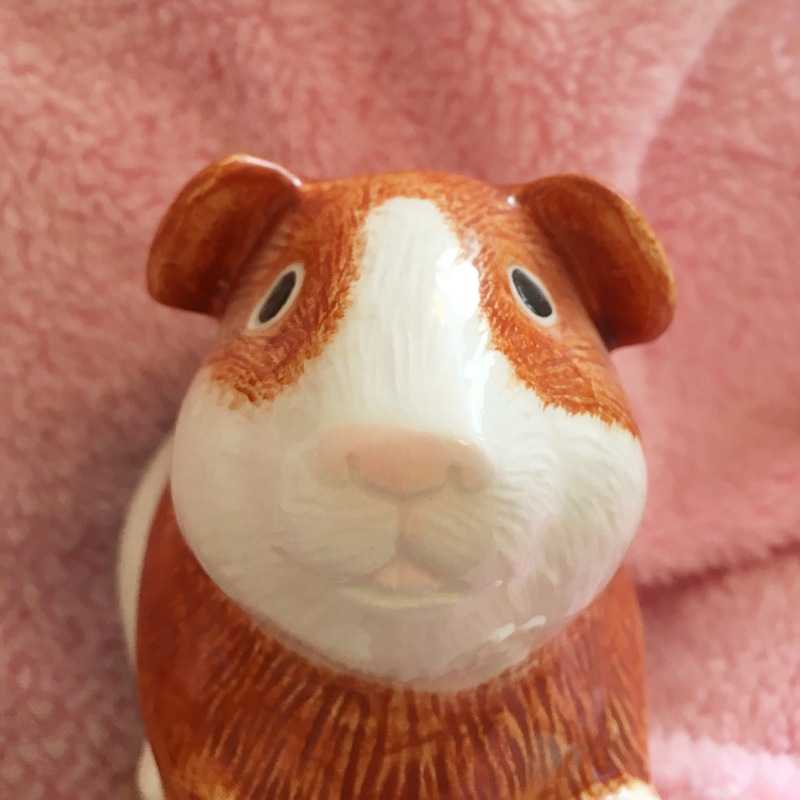 I bought this Guinea Piggy Bank for my eldest daughter, she loves it and enjoys saving coins in her piggy. 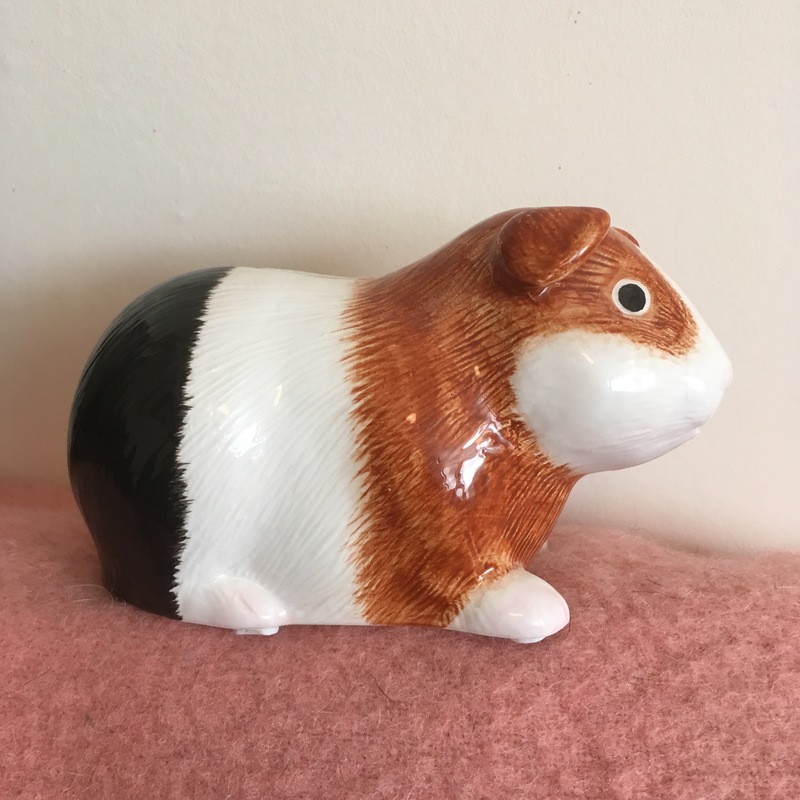 I think the Paladone Guinea Piggy Bank is a great gift for a guinea pig lover of any age. I’m considering getting another for my youngest daughter.